• Frankie Stone in conversation with one of the participants of a collaborative photography project exploring issues relating to mental health of service users. • Tim Andrews talks about his ‘Over the Hill’ project, which has seen over 400 photographers produce portraits of him, since he was diagnosed with Parkinson’s Disease. Tim is joined in conversation by some collaborating photographers of the project, including Clare Hewitt, Shawn Sobers, Amanda Harman, Kathy Foote, and Ameena Rojee from the BJP. • Ruth Davey presents an interactive mindful talk, about the 'Look Again' approach to Mindful and Therapeutic Photography. 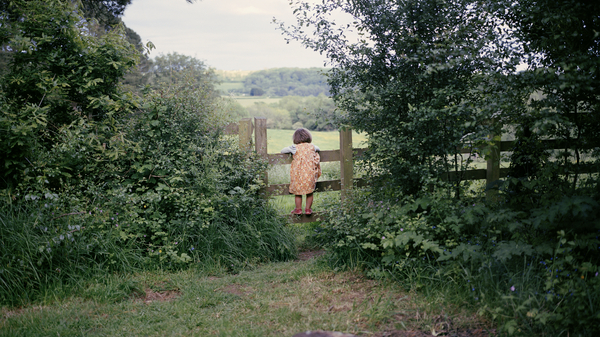 Image Credit: Garden Gate - Sian Davey.